Me4Kidz is THE place to go for family friendly and fun first aid kits, oral care, beauty and baby products! From their MEDIBAG family first aid kits and MEDIBUDDY kid-friendly first aid kits to their DIAPER BAG BUDDY baby basics kits and SMILEBUDDY oral care kits, their selections are great and their products are too! We were recently sent the NAIL BUDDY to try out!! My daughters love their nails painted all the time! The Nail Buddy from Me4kidz is perfect for your little girl who loves getting her nails done and The best part, this nail polish kit is just for her! 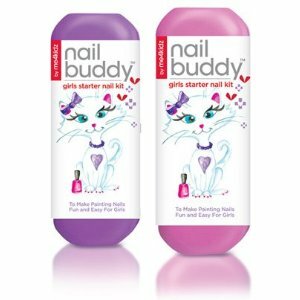 The Nail Buddy from Me4Kidz is a great little nail starter kit for girls ages 2+. Not only is the packaging so cute but it’s convenient too! Take this kit to sleepovers, play dates or carry it in her very own purse! My favorite thing about the Nail Buddy is that all the contents are not only absolutely adorable but best of all they are kid sized! From the nail polish to the nail buffer, everything is made just for kids and their little hands! Also I love that the nail polish is water based and nontoxic, I feel more comfortable letting her do her nails herself knowing that the nail polish is safe for her! I love the nail appliques they are so cute, and how everything fits right back into the reusable case. Overall, we love the Nail Buddy, it made my girls super happy and they felt like little princesses! I would totally recommend the Nail Buddy for any young girl and it would make a great gift!! 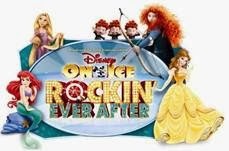 And There are so many other items that Me4Kidz offers that I would love to try. The medibag will definitely be the next item that my family tries out!